Our little Frog is absolutely too cute! Name is personalized on the Lily Pads. Comes in either a Frog Prince or Princess. Measures: 12 x 16. 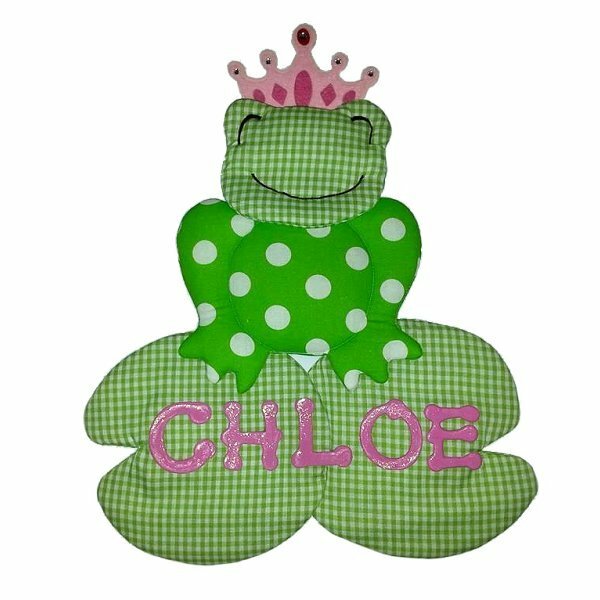 Our Frog Wall Design is personalized FREE (up to nine letters long). Ribbon is included for easy hanging. Fabric wall design is quilted with batting and foam and has unique details.